Before I start I’d like to preface two things as to not elicit any arguments. First of all, I’m a long time Star Trek fan. I grew up on it and have enjoyed all the series and the majority of the films. Secondly, I do enjoy J.J. Abrams reboot of the series. I’m more interested in what makes a good film rather than what fits in with the canon of an established series. So that said, let’s get started. Oh, and one more thing…. Big, massive, epic SPOILERS ahead! We will be talking about a few major plot revealers so if you haven’t seen the movie and want to be surprised, read no further. Don’t say I didn’t warn you. 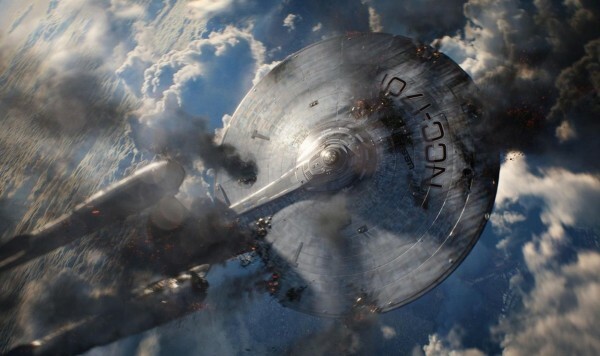 Star Trek Into Darkness was a fun, exciting, action-packed, sci-fi movie that will go down as one of my favorite films. That said, no movie is without fault and there is one major mistake that I feel STID made. It’s a mistake that many films have made and STID is just one of the most recent films to make this mistake. It is the mistake films make when they rely on information from the films’ past series or other narrative forms to drive key plot points. Allow me to explain. In Star Wars Episodes I-III, we are expected to care about Anakin Skywalker not because of who he is but because of what he will be. Darth Vader was a pivotal character in the original trilogy but if we take that away, there is a major gap in the plot of the prequel trilogy. The moment in Episode III where Anakin is placed within the Darth Vader armor and rises to his reveal is very chilling. Everything is leading up to this moment, but it’s because we know of Darth Vader from a different set of films. Take that away and you have a rather annoying brat who’s screaming because he just lost a battle he shouldn’t have fought. In the Harry Potter series, viewers are constantly left in the dark because of major story plot points that are only revealed in the books. I personally hadn’t read the books and as we were watching the Deathly Hollows Part II, I kept remarking about things that didn’t really make sense. My sister-in-law, who was there with us, paused the movie to explain things that she remembered from the books…things I would label as key plot points that were necessary to understand to truly enjoy the film. Star Trek Into Darkness commits this film sin during two key points. The first is when Khan is revealed. Those who know Star Trek will know that Khan was one of the greatest villains in Star Trek history. He was ruthless, intelligent and a true nemesis for Kirk. But in STID, he simply starts off as a bad guy. The crew doesn’t know who he is yet and his presence only adds tension because it is implied that the audience should know who he is. In fact, any bad guy could have done all the things he did in the film without dramatically affecting the overall story. The second time this happens is during the death scene of Kirk. Kirk reveals why he couldn’t let Spock die at the beginning of STID…because they were friends. Now anyone who knows Star Trek knows the long time friendship that Kirk and Spock had during the Original Series and the early movies. The years in service together and the constant moments of putting their life in each other’s hands created a strong bond of friendship between them. But at the beginning of STID, they really don’t have that much history together. We see them starting to get along at the end of the previous film and then we are supposed to believe now that they are the bestest of friends. When Spock dies at the end of Star Trek II: The Wrath of Khan this was an incredibly emotional moment. Their friendship was known by the audience and was alluded to several times during the film. But in STID, we don’t have the same relational build up. The emotion that the Abrams was trying to capture from TWOK was somewhat lost in STID. All that said, I felt the actors did an amazing job with the script and the story was still very solid, even if it was essentially a super-expensive fan-film. Well many young writers fall into the trap of not allowing for or creating the proper amount of character development to make the emotion they want to convey in their film believable. A key thing for any storyteller to focus on is character background. Provide the proper amount of background and character development so that your audience can have all the necessary pieces of the filmic puzzle to truly care about your characters. This is a trap Abrams often falls into, great director though he is. Often he prioritizes assumptive emotion over logic and story. He seeks to create what he would like you to feel technically rather than narratively, like a really well polished T.V. Commercial. This is the same problem Michael Bay has (though he’ll often forgo emotion in lieu of a neat slow-motion explosion too). And let’s not forget Damon Lindelof. He’s a “big” writer known for leaving plot holes in his wake (Prometheus, Lost etc). It’s not that he’s a poor writer, he simply lacks nuance and his characters are often poorly developed (I feel like I should mention Prometheus here again). As Tony said – Into Darkness was fun. It was a super-expensive fan-film. To create that “bigness” though, a lot of logic had to be ignored, a lot of edges remain abrasive and cumbersome. I think the danger here is that when a story doesn’t ring true, when something about it feels intrinsically “off”, it removes the audience from the narrative experience and disrupts the cinematic magic. Perhaps Into Darkness’ greatest sin was assuming its audience isn’t that bright, or could forgive plot holes for explosive action. Why else was Carol Marcus in the film other than to provide a shot of her in her knickers? And Kirk only stayed dead for about fifteen minutes – just like when someone dies in real life! Does anyone else think this qualifies Kirk as a zombie? A fun, explosive film. Just be sure to leave your brain at the door or it will come out itchy. I wouldn’t say those are exactly storytelling mistakes. From your article, it seems that you wanted more from those situations so that others can feel what you want to feel. Personally, I haven’t watch the old Treks but I though the reveal and relationship worked fine. 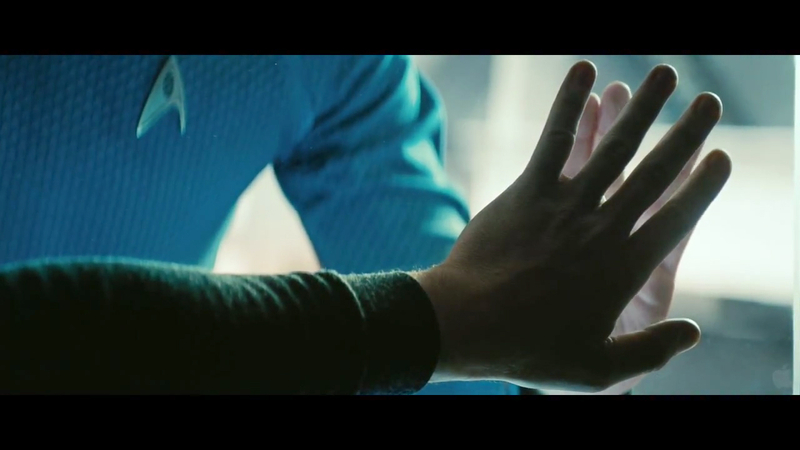 I will agree that there could of been more build up between Kirk and Spock but I though it was enough to carry the movie. Take a look at the interview of Gene Roddenberry, that Eugene Roddenberry (Gene’s son) played for JJ Abrams. It was like Gene Roddenberry recorded that interview specifically for JJ Abrams long ago. It also gives Star Trek fans a better prospective on the Star Trek Reboot, and essentially gives JJ Abrams full blessings from Gene Roddenberry from beyond the grave. It is called Trek Nation and is on Netflix. Take a look, it might even change your prospective of Star Trek. By the way, film sin is what the remake of the original Psycho was.